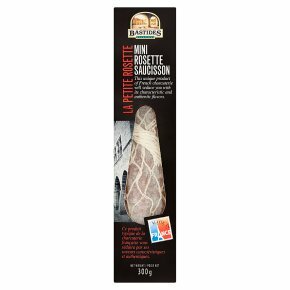 Produced using French pork.This unique product of French charcuterie will seduce you with its characteristic and authentic flavors. This Mini Rosette is made in the Aveyron region in France. A recipe handed down through two generations using pigs reared in France. Matured in a natural casing. Using traditional methods of the region and stuffed by hand.